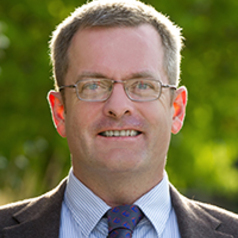 Jack Marr is a clinical associate professor in international business and as director of Global Programs works on the College of Business and Economics’ global outreach. His research and teaching areas are around East Asia, global business, economic clusters, networks, and emerging markets. Previously, Marr was on the faculties of City University of Hong Kong, New York University’s Stern School of Business, and the Kellogg School of Management. He was a consultant with McKinsey and Company in Greater China, served the US Foreign Agriculture Service in Shanghai and the State of Missouri in Tokyo, and has held numerous other advisory positions globally. Marr holds degrees from the University of Chicago and the University of Illinois at Urbana-Champaign. He is fluent in Mandarin Chinese and Japanese.